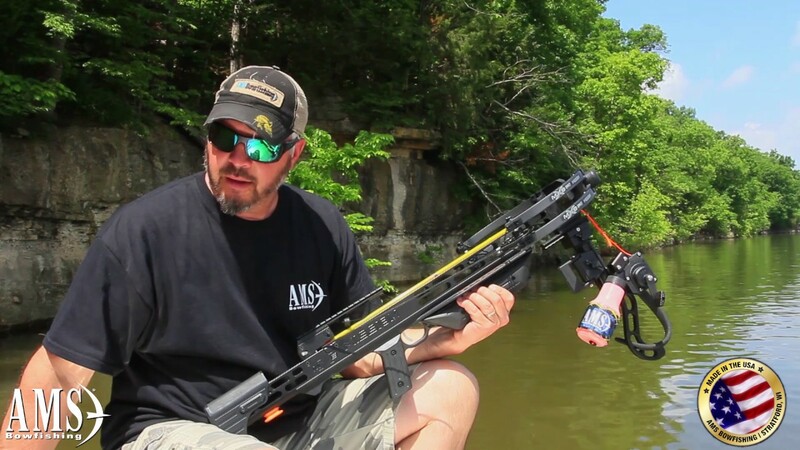 Now you can convert your crossbow into a high-performance bowfishing machine! The best way to rig your crossbow for bowfishing is with the AMS Retriever Pro Crossbow Kit. It’s got everything you need. A crossbow will never be the fastest way to bring fish to the boat. It may, however, be the best way, or even the only way, to get youth or handicapped shooters into the sport and onto the addictive bowfishing action. You don’t want a 175lb crossbow to shoot through your fish, in fact, a much lighter platform is much better. Where allowed by law, a crossbow can be a viable fish-getter platform and rest assured that AMS has the adapter kits, bolts, and Retrievers that you’ll need to make it work.